i just put my eye on the waves and my recommendation is ……GO !!! have you been waiting to order that new board? now is the time ! we just got a few new laminate colors in yesterday. i’m really diggin’ the 80’s neon and the rasta fade. think it’s cold here this week? this is nothing to this guy. This is Albert. He drove down here from the Great Lakes to surf our “warm” winter waves. thanks to everyone for all of their input. we had quite a few good suggestions for our “new model’s” name. 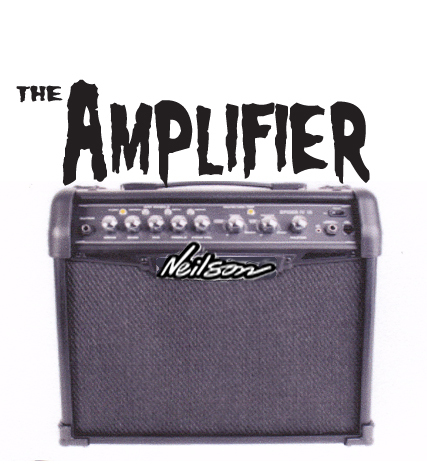 the AMPLIFIER submitted by SCOTT MCLEAN !!!!!! come on down and claim your t-shirt and bar of wax. also, come on by and check out the new AMPLIFIER model. you WILL rip on this thing ! Thanks for all of your submissions ! Wow, what a great response ! we are going over all of the great names you guys have submitted to us. As soon as our expert team of judges makes their decision, we will post it here. Name this model contest !! Tom shaped this new model and it needs a name. the winner will receive a NEILSON t-shirt, a couple of bars of wax , and whatever swag we can scrounge up ! the board is kind-of a take off on the …LOST “sub scorcher” model. feel free to come on down to the shop and check it out. heck, you can even take it for a test ride ! !